It is the goal of NeighborWorks America to make every place a community of opportunity. Unfortunately, some areas are being left behind more than others as our global and national economies continue to shift. Rural communities are among them. The people who have toiled in the coal mines of Kentucky and West Virginia, as well as in the paper and textile mills in Maine and western North Carolina, have not fared well in the changing economy. Likewise, the historically disenfranchised Native Americans in the Southwest, Latinos in the border colonias and the residents of the disaster-plagued Delta are struggling to survive. Our country needs to bring opportunity back to these regions and their people. 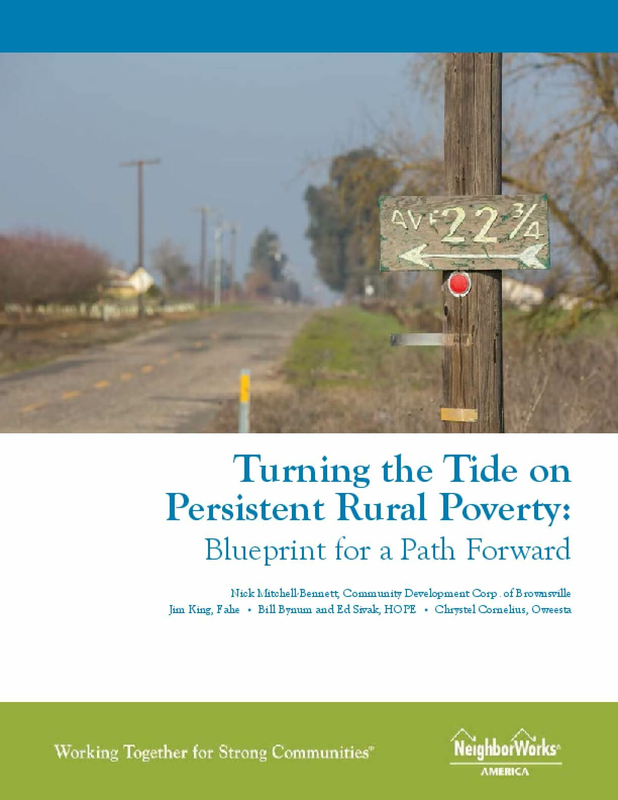 Although rural America accounts for less than 20 percent of the country's overall population, 85 percent of persistent-poverty counties are outside of metro areas. Yet at the same time, there are so many examples of people and organizations doing good work; they just need support and the resources to go to scale. Special attention clearly is required, and that's why we formed the Rural Initiative. Building Healthy Places: How are Community Development Organizations Contributing? 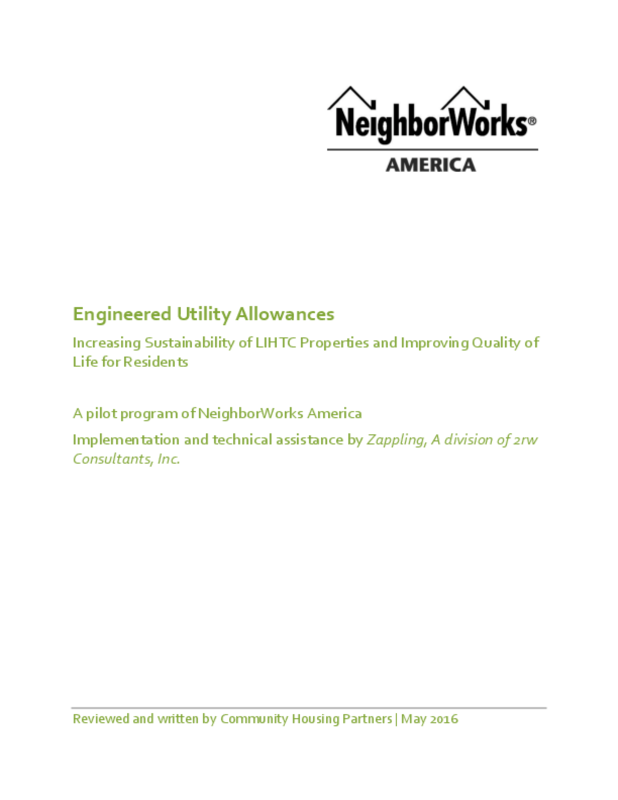 The following study details the results of a pilot project of NeighborWorks America, which asked 2rw Consultants to evaluate the effectiveness of engineered energy calculation models to adjust utility allowances at affordable housing properties across the United States. NeighborWorks then engaged Community Housing Partners (CHP) to assess the results. The results indicate that using the engineered utility allowance method to estimate usage and costs can be beneficial for affordable housing properties in two ways. First, owners and managers of LIHTC properties will find it easier to fund and recover investments in energy efficiency. Second, pairing the engineered energy calculation method with a resident education program can be used to improve resident use and understanding of energy-efficient components in their homes. 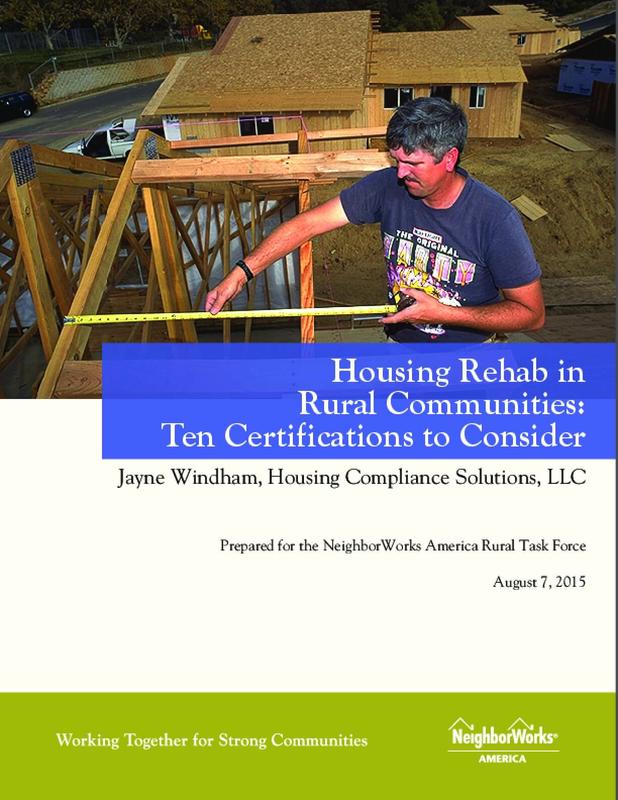 Ten certifications to consider when rehabilitating homes in rural communities. 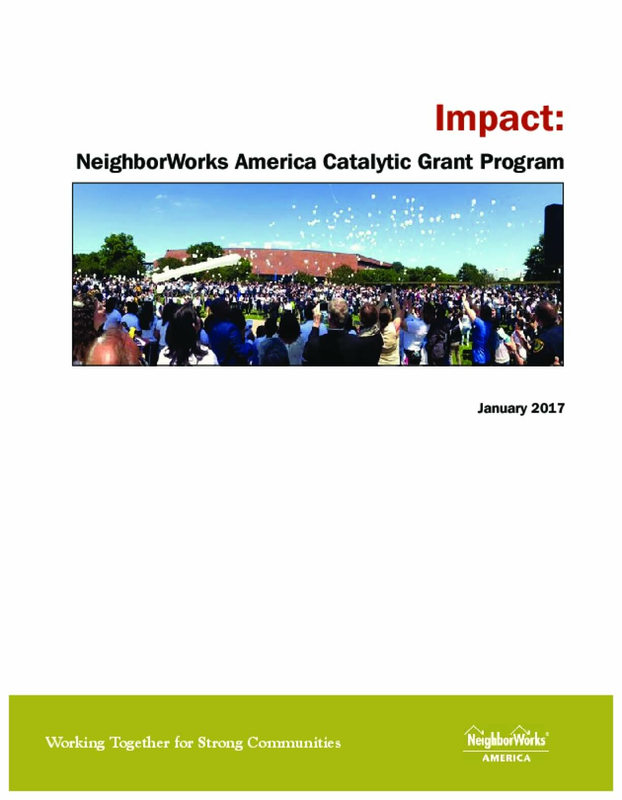 Over an 18-month period, NeighborWorks America ran a program through its Community Initiative Department called the Catalytic Grant Program (CGP).CGP was inspired by Community Initiatives' mission to support efforts to build vibrant local communities that provide equitable opportunities for people to thrive. Noting that even years after the Great Recession had officially ended, many communities across the United States were still suffering from housing disinvestment, foreclosures and concentrated poverty, NeighborWorks America set out to create a program that could build on the assets in these communities, strengthening the capacity of local organizations to tackle complex issues. The goal was to improve physical, social and economic conditions through collaborative approaches. The model builds on the rich history and experience of NeighborWorks America and its network, drawing on decades of experience with neighborhood-based initiatives. Innovations in single-family home construction are badly needed. Studies show that every county in the U.S. is facing an affordable housing shortage. Homeownership is increasingly out of reach for many would-be first-time homebuyers, and if younger couples and families can afford to purchase their own home, they increasingly have to wait longer to buy or lower their expectations. Many homebuilders are emerging from the housing bust by building fewer but larger and more expensive houses for wealthier homebuyers, underscoring the lack of opportunities for low-income buyers. The excess of single-family homes built before the recession also gives pause to younger buyers that are wary of procuring a mortgage. 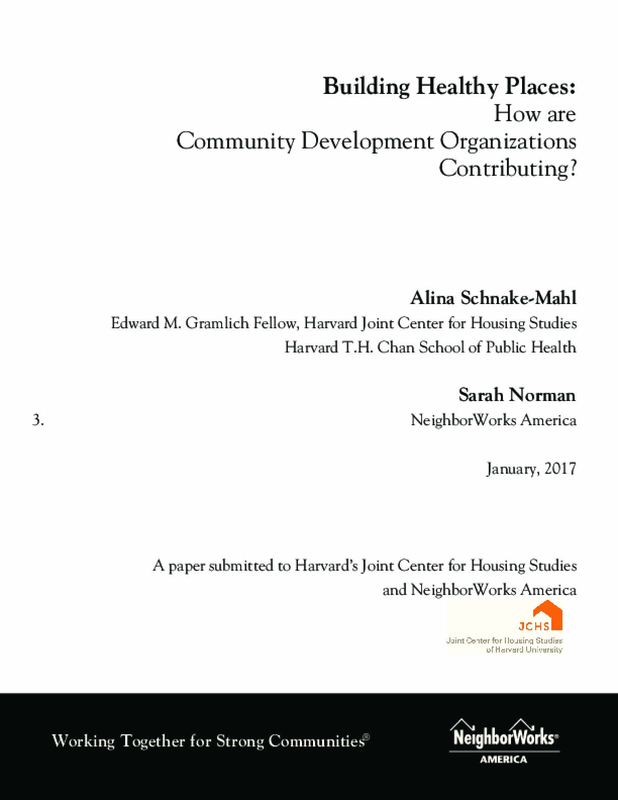 For these reasons, community development corporations (CDCs) must explore a range of techniques to develop single-family housing that is affordable to first-time homebuyers. 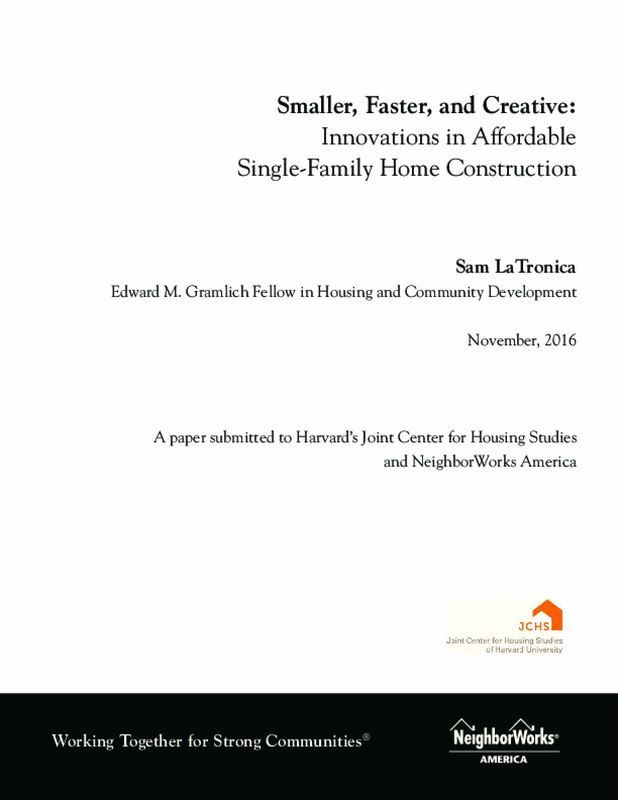 This paper examines current innovations in affordable single-family home construction and their associated opportunities and challenges. This paper includes lessons learned by CDCs that have experimented with these innovations and recommendations to CDCs that are interested in doing the same. 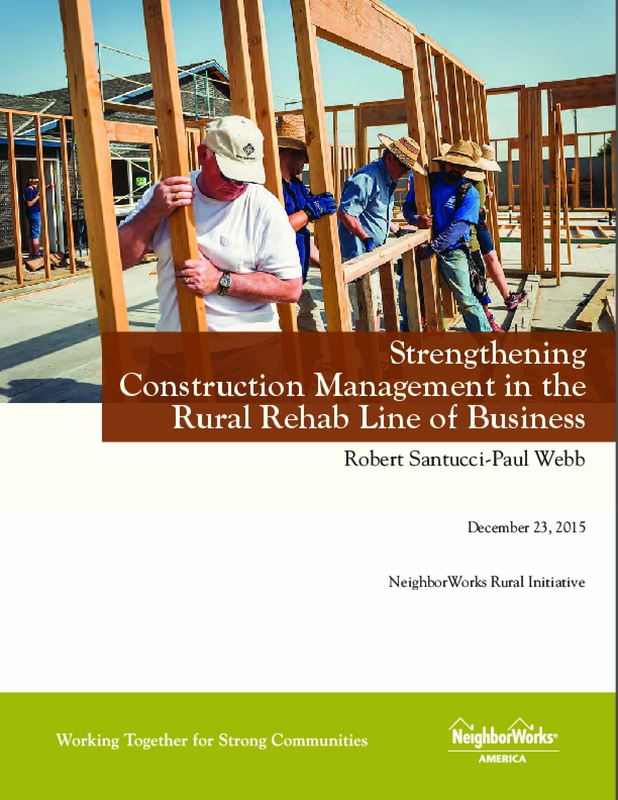 Recognizing the importance of rehab work for housing preservation, and the difficulty of running a sustainable rehab line of business, in 2015 the Rural Initiative prioritized an inquiry into the rural rehab line of business. 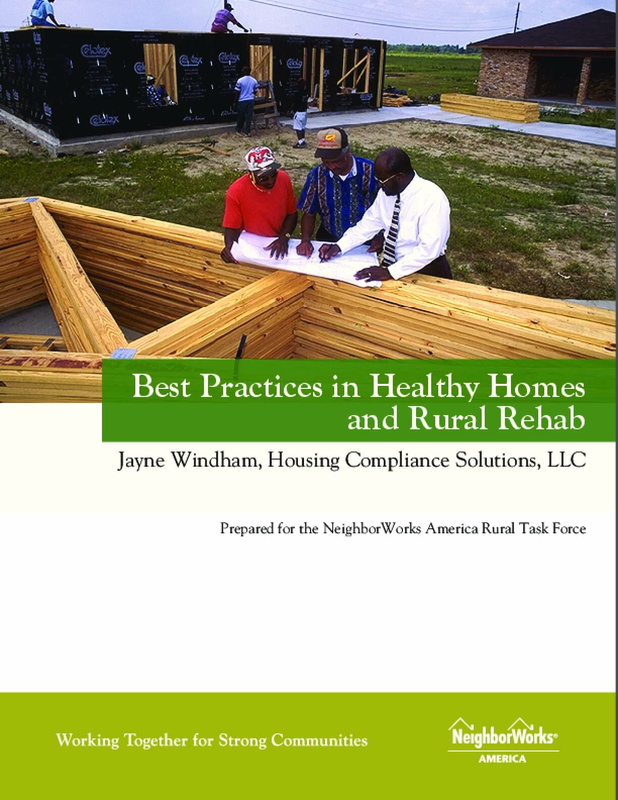 A cross section of experts were gathered from the NeighborWorks network to form a year-long Rural Rehab Task Force to provide recommendations on how NeighborWorks can better support rehab in training, technical assistance, and resource allocation, and to share best practices by producing model business plans demonstrating different ways to structure sustainable rehab programs. 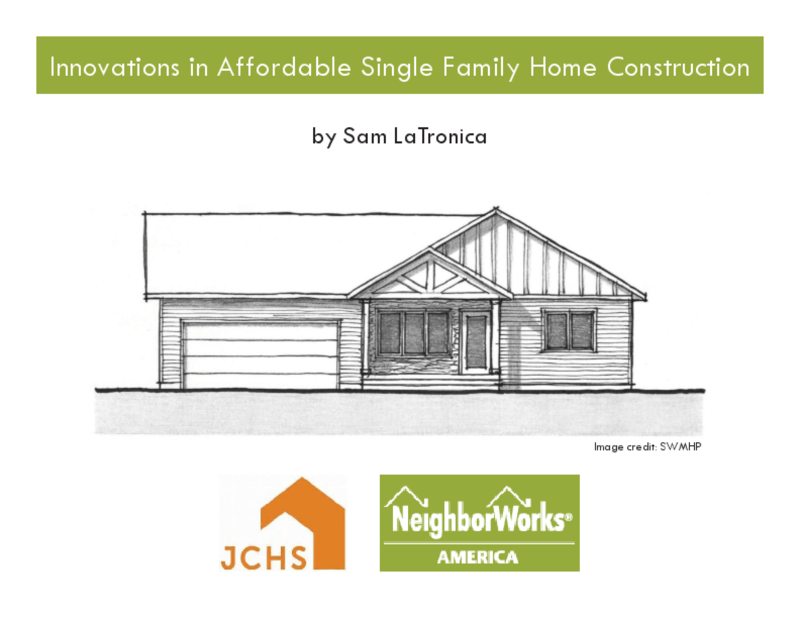 Sam LaTronica, candidate in Urban Planning at the Harvard Graduate School of Design, presented innovative case studies in affordable single-family home construction, including goals, positive outcomes, and lessons learned.